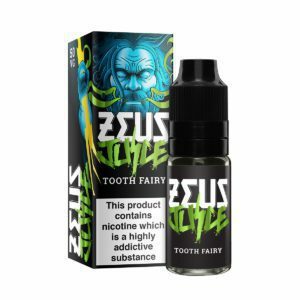 Zeus Juice creates some of the highest quality e-liquids you will ever try. They have been here with us from the start and also hold some of our most popular flavours. They are certainly full of flavour! This category is for all our mouth to lung customers who like to vape 50VG/50PG e-liquids in their smaller devices. These juices have higher nicotine strengths, as a result, you get that hit you need to help quit smoking for good. Who says mouth to lung devices need to be tobacco flavoured?! Check these delicious liquids out today.